How one director brought an animation film to light with handicraft? But Hollywood quickly took over, with its technique of computer-generated imagery (CGI) completely transforming the film industry. Leading movies like "Toy Story," the first entirely CGI-animated film of Pixar on screen in 1995, won huge success in the global market. During this year's Beijing Film Festival, a young director named Zhou Shengwei's animation film SHe brought Chinese stop-motion films back to the international stage. The film is shown in this year's special series, "1939, 1959, 2019: Adventure of Great Cinematic Times," in which historic films are shown during the festival in conjunction with the contemporary ones. A stop-motion film involves a meticulous, labor-intensive process of creation - one takes a photo of objects or characters, move them slightly and take another photo. The process would go on for long until the objects appear to move their own way during playback. 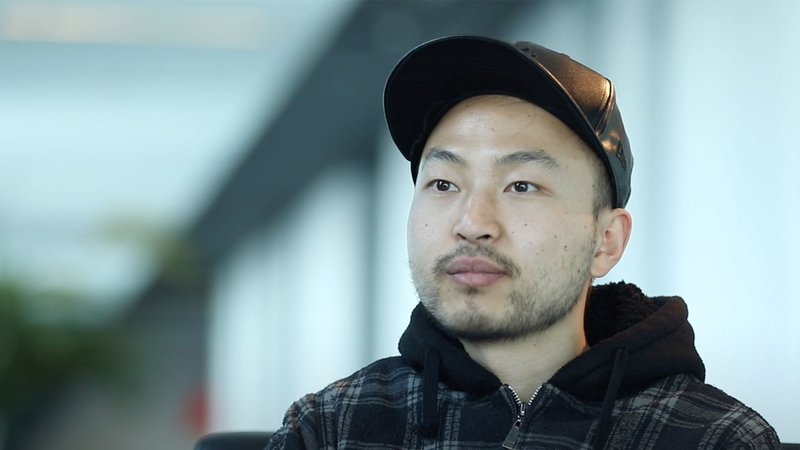 For Zhou Shengwei, a 28-year-old film director and a graduate of Peking University School of Arts, it takes him more than six years to finish that process. 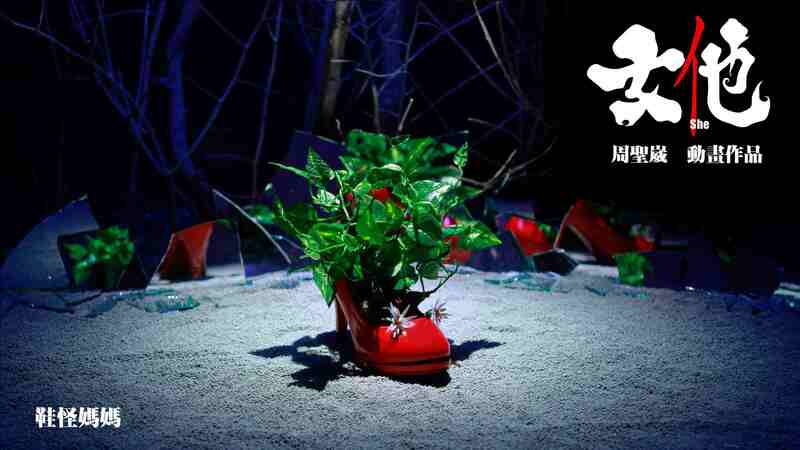 The film details the story of how a mother, embodied by shining red high heels, tried to secure a better life for her daughter in a male-centric world by pretending to be a man. She disguised her identity by wearing black leather cloth and pretended to be a men's boot. It is a film about sacrifice and motherhood, said Zhou. The idea of the film stems from Zhou's observation of his mom when he was little. As the only female in the male-dominated construction industry, his mom tried to fight for survival. 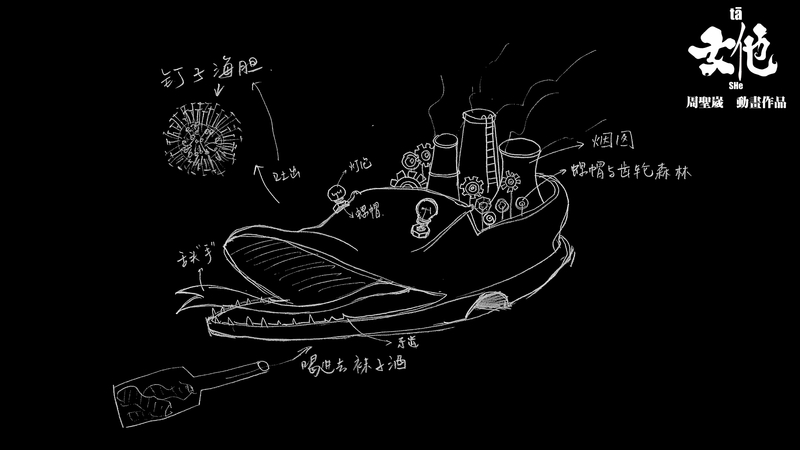 Perhaps the most incredible fact of the film is that all objects featured in the film were hand made by Zhou. The flies are made out of clothes hangers. The crabs were made from fragrance bottles and a carnivorous plant made from a cup. In one of the most acclaimed scenes in the movie was the prison cell, made of puffer jackets. The jackets zippers act like the heavy metal doors of prison cells, and the gloves were the security guards. "Those you see in the film are no different from everyday objects in life, but their connotations are completely different… by reinterpreting everyday symbols, the film gives the audience a great sense of defamiliarization of reality," said Zhou Shengwei, in an interview with CGTN Digital. The sense of defamiliarization is achieved also through a sharp contrast presented in the film, the film has not just a dark undertone but also childhood innocence - a blend of the recognizable and the canny. 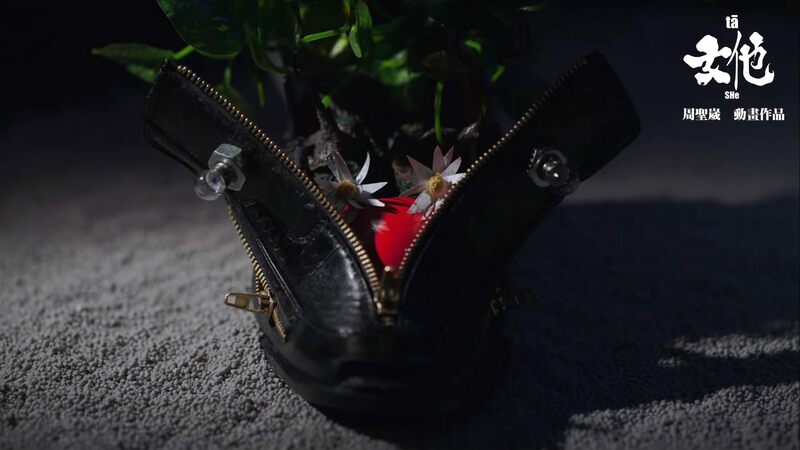 In a typical battle scene that highlighted the sense of defamiliarization, a crab made out of perfume bottle prey on the red high heels mom by shooting silk to immobilize her. The black backdrop is suffocating, the fighting is cruel, but the strange juxtaposition of red high heels battling a perfume bottle adds some lightness to the film. Surprisingly, Zhou attributed the great imagination embodied in the film to his budget constraint. He was still in college when shooting the film, and did not have enough money and resources to present the story in any way other than stop motion. Zhou is one of the younger generations of Chinese directors about to enter the world stage. 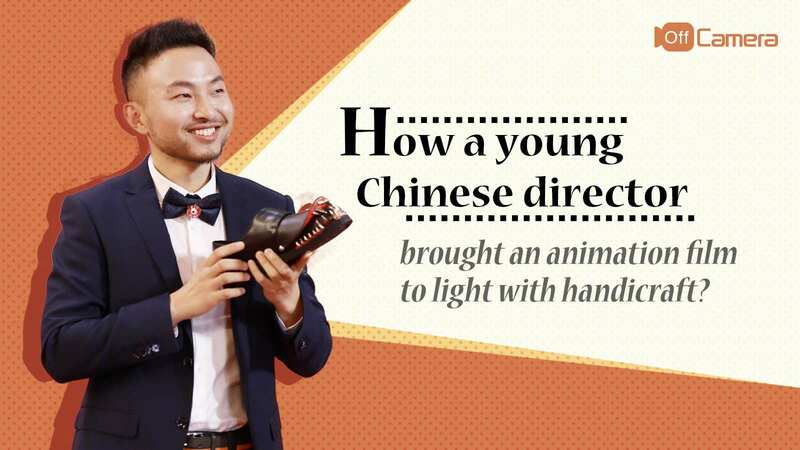 Defying the widely-used six-generation system to categorize Chinese film directors, he said young directors of his age do not fit neatly into that categorization. “Our directing style can be completely different from each other," Zhou Shengwei told CGTN Digital, "we are now living in the age of demassification where everyone is a world of himself or herself, and he or she can have multiple identities." Films industries in China have experienced exponential growth, making the market in China the second largest in the world. Annual box office sales exceeded 60 billion yuan (8.93 billion U.S. dollars) in 2018, and domestic Chinese films accounted for more than 60 percent. But for young directors, securing funding to make a film may not be easy, despite prosperity in the market. Investors are cautious towards funding young directors who have not yet put their names out in the market. “As long as the director has the will to tell a story, even if he or she has no money at all, there is always a way to tell that story,” Zhou told CGTN Digital. Zhou shot the entire film with one camera and had no production team to work with. The music producer of the film was his personal friend and everything shown in the film was made by Zhou himself. The section that Zhou Shengwei's film is featured during this year's Beijing Film Festival is devoted to showing films from different eras across the world. Other films in the section include Hollywood classics like Gone with the Wind, the Wizard of Oz and a selection of French New Wave classics. “This is a new attempt of the Beijing Film Festival, to have more integration and crossover,” Zhou said. A cross-cultural approach is needed to make the film festival's appeal to enduring. A section called "The Belt and Road" is also featured in this year's festival where films from countries along the Belt and Road are shown. The festival kicked off this year on April 13. 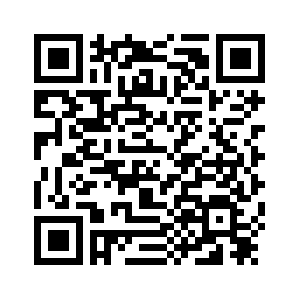 It will run until April 20. Asked if there is any plan for the film SHe to be released in the cinema, the 28-year-old director said right now he does not have the plan to do so. "The film is a gift to my mom," he said.